Waitress is a piece as sweet as the pies Jenna (Katherine McPhee) bakes. But it’s a mistake to write it off as simply a romcom film-to-musical adaptation. 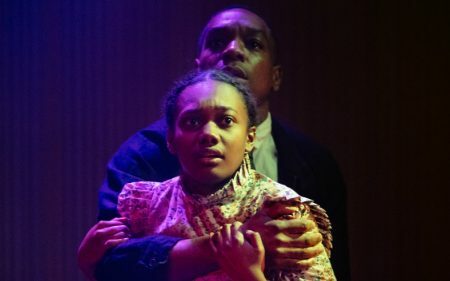 Adrienne Shelley’s original story, and the musical Jessie Nelson and Sara Bareilles have created, has a lot more going on than ‘boy meets girl’. Like baking, it’s a more delicate chemistry than that. 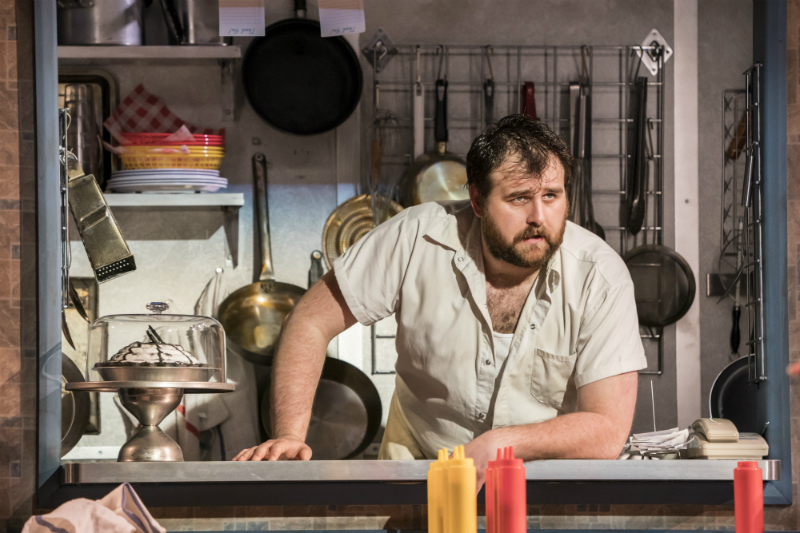 The cast is led by pie-baking veteran McPhee. Best known to theatre fans as the wide eyed and sweet Karen Cartwright in Smash, she brings some of that sweetness to Jenna. In the first act that sometimes comes over as a little bland, perhaps a little without spark. But McPhee rises to the occasion in act two and we see the depths of her Jenna. Her vocal ability meanwhile is exceptional, and her rendition of ‘She Used to be Mine’ manages to be both a powerhouse vocal performance and quietly moving. Waitress is a show about women and it’s Laura Baldwin and Marisha Wallace, playing Jenna’s waitress friends Dawn and Becky, who stand out in this cast. Baldwin’s awkwardly charming Dawn is hilarious and endearing, while Wallace has a glorious dry-wit delivery that offsets some of the more sugary scenes perfectly. The men in Waitress are mostly relegated to second-string status, this being a female led affair. But as the dorky Dr Pomatter, David Hunter is charming and sweet and shows off real comedic flair. Jack McBrayer as Ogie also no doubt has the comedic gifts the role asks for, although perhaps a little too slapstick for the tone of the piece. Unfortunately, he lacks the vocal ability of his Broadway predecessors. A true comedic scene stealer is Stephen Leask as Cal. The cast are given a real gift in Bareilles’ music, managing the rare thing of blending pop and musical theatre. There is a real depth to the lyrics, and the music serves the depths of the story much more than does Nelson’s book. 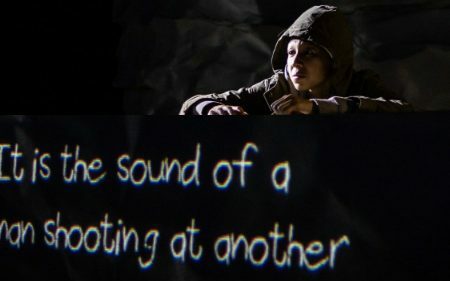 While Nelson seems to err on the side of sitcom-lightness, skipping over the more contentious and dark elements of the story, Bareilles (as is typical of her song writing) cuts to the core of the characters with her music. She can go from the high energy comedic ‘Never Getting Rid of Me’ to the beauty and simplicity of ‘You Matter to Me’ – one of the most heartfelt musical theatre love songs of the last ten years. 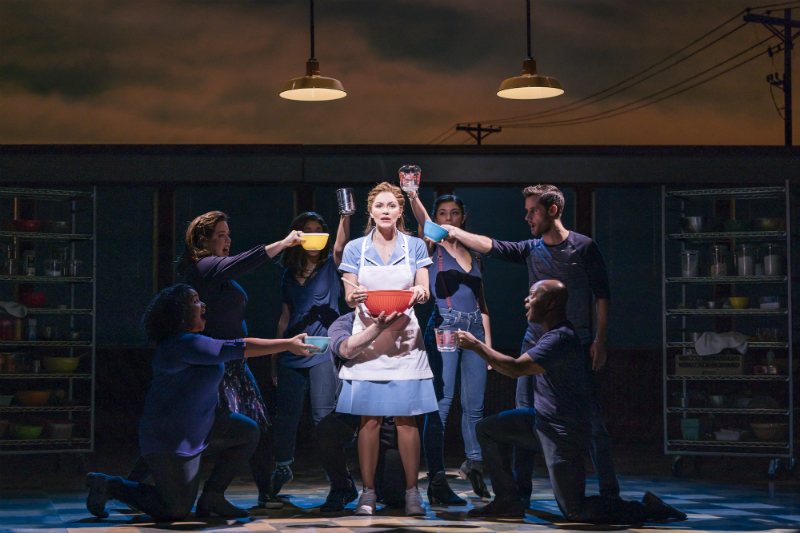 Of all the songs, ‘I Didn’t Plan It’ sums up what sets Waitress a bit apart from other musicals. It’s a musical about deeply flawed characters, a gloriously uplifting piece of theatre. Despite its sugary sweet appearance, there’s a great deal more going on under that pie crust than it might first appear. 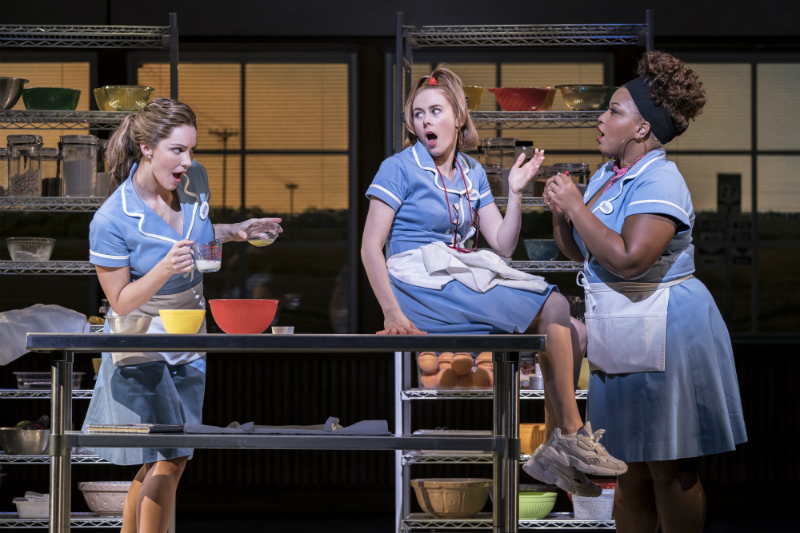 Waitress is currently booking at the Adelphi Theatre until 19 October 2019. For more information or to book tickets, please visit the show website. Known as ‘The AIDS PhD one’ or ‘Doctor Angels’ I was an academic, writing on theatre as a response to AIDS. 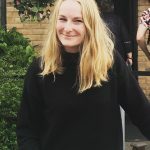 I now split now bridge the creative and academic with her work as a dramaturg and theatre researcher, alongside being a playwright and critic.